Donnington Box Pleated Tailored Valance by Waverly features a damask pattern. Valance has a 3" rod pocket and a 1 1/2" header. For proper fullness, use approx two times your window width in fabric. For wider windows use multiple valances. 100% Cotton, Machine Washable. 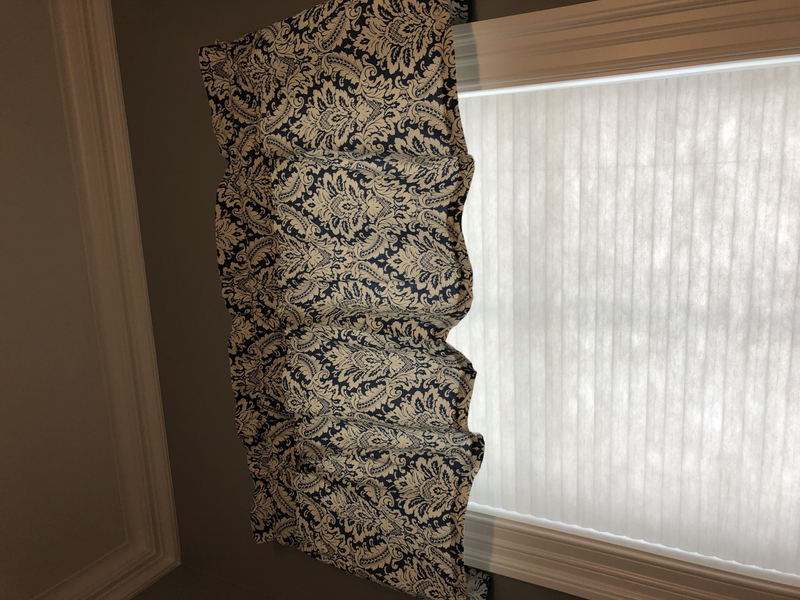 Love our Donnington Box Pleat Valance! Swags Galore was efficient and reasonably priced. The quality is fantastic! Highly recommended company to order from.